​Tampa Bay Rays starter ​Charlie Morton has had one of the better curveballs in the league for some time now. Poor Rowdy Tellez had to be on the receiving end of one of the nastiest pitches we've seen so far this season. Morton served up this filthy curveball, and Tellez never stood a chance. ​​What do you even do with that pitch? Keep in mind, Morton has a high-90s fastball that can top out at close to 100 mph. When you can command both those pitches, it's not easy for a hitter to make consistent hard contact, or any contact at all. ​​Morton came into the Toronto game with a 2.25 ERA in three starts, continuing his late-career renaissance. After breaking into the league with a soft sinker, Morton is now one of the hardest throwing right handers in the league. ​​Morton gives Tampa Bay another legit starter behind Cy Young winner Blake Snell. If Morton continues to whip out his wicked curveballs, the Rays can sustain their hot early season start. Tellez just got a first-hand experience of what it's like to be sat down with an absolutely stunning breaking ball. 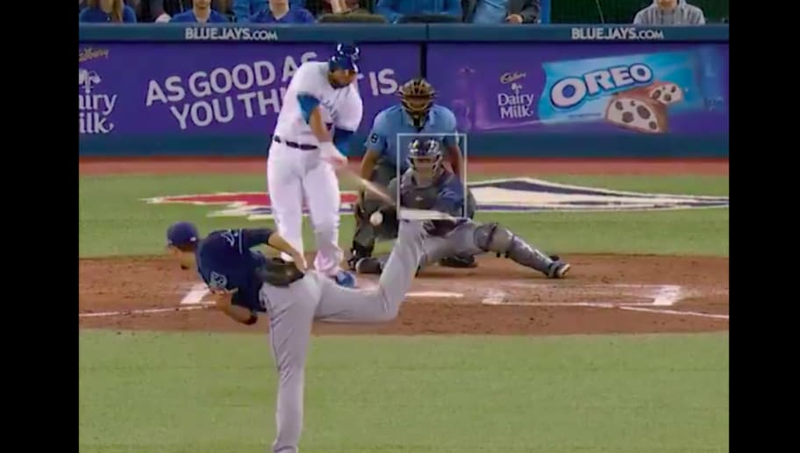 The slow-motion version of the pitch shows just how much the ball broke just before reaching the plate.